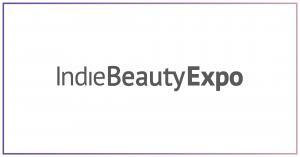 After IBE London in October 2018, IBE Berlin is the second show outside the US-American home base for the Indie Beauty Media Group. In case you’re not familiar, the IBE concept is to create a space for beauty brands to present themselves to industry professionals (Trade Day) and to end consumers (Shop day) for two consecutive days. Every edition — New York, L.A., Dallas, London and now Berlin — features established beauty brands as well as several brands that launch exclusively during the show; visitors also can expect special wholesale and/or retail discounts. US-American wellness site mindbodygreen have once dubbed IBE “an incubator for up-and-coming beauty brands” and this might be the most accurate description of the IBE and its core mission: business. Be discovered. Receive industry and consumer feedback fast. Learn, connect, support and be supported, grow — thrive. Retail partnerships with companies like Feelunique or Neiman Marcus have contributed to live this strategy in the past.